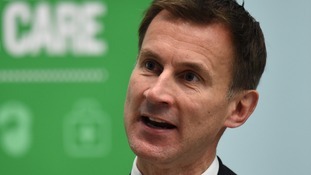 Casting doctors and consultants as the roadblock in their stand-off with the health secretary Jeremy Hunt is "the wrong approach" according to BMA spokesperson Dr Mark Porter. Doctors back a seven-day NHS service but want the government to outline how they will fund and staff it. Chair of the British Medical Association Dr Paul Flynn said: "There is clear public support for more weekend services, but no clear plan on how this will be delivered. “At a time when the NHS is facing a £22 billion funding shortfall, many hospitals are in the red and weekday services are under strain. "The government must explain how they plan to expand services by up to 40% across the week. "How will they pay for it? How will they ensure there isn’t a reduction in mid-week services? How will they put in place the support doctors need to deliver the same high standard of care over seven days?" Health Secretary to challenge British Medical Association with six weeks to negotiate on changes for doctors, or face a new 7-day contract.